We’ve been taught that proper brushing of teeth will ward off dental problems. Brushing our teeth at least two times a day is recommended – after eating breakfast and before going to sleep at night. 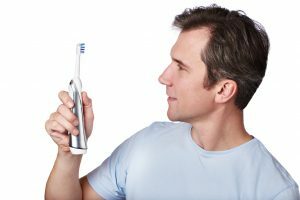 Choosing what kind of toothbrush to use is a matter of personal choice, as both manual and electric toothbrushes are effective at removing debris and plaque when they’re used properly. Both will require a replacement every three months because of worn down bristles. If you choose to use a manual toothbrush, select a brush with a small head, as it allows better access to the back teeth. Pick a soft bristle brush because it is gentle on your gums. When compared to a manual toothbrush, the head of an electric toothbrush is significantly smaller. This allows you better access to the uncomfortable angles, particularly the teeth in the back of your mouth. The electric toothbrush appeals to all ages, especially with kids. Its circular motion makes it work effectively. They are different types of electric toothbrushes available: vibrating, oscillating-rotating or sonic technology. If you prefer to use an electric toothbrush, always read the instruction manual regardless of the model you choose. Remember, however, that an electric toothbrush does more work than a manual toothbrush, and can cause irritation to your gums if it is used for long periods of time. Prolonged and rough use can also wear away enamel. So, you need to be careful when brushing your teeth and make sure that you are using your toothbrush correctly. There is a proper technique to use when brushing your teeth. You should spend at least 2 minutes brushing to make sure that all areas are covered (outside, inside and biting surfaces). Using a small circular motion, aim the bristles directly at the gum line where plaque forms on your teeth. Brushing should always be paired with regular flossing to ensure your teeth and gums are the healthiest they can be. Make time to visit Hilliard dental office for your overall oral health check. Dr. Voyles and Dr. Cook will be happy to see you and provide you with the dental service that you need!